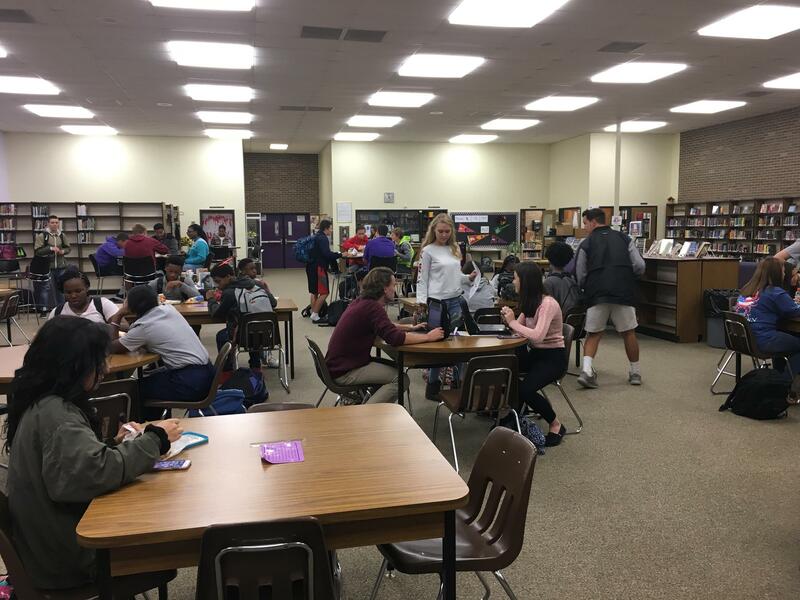 The purpose of the Batesburg-Leesville High School Library Media Program is to support the school's instructional goals by working with teachers to extend and enhance the students’ learning experiences and to serve as the information center of the school community. We are open each school day until 3:45 PM, but will accommodate students’ needs through later hours, by arrangement. Our library collection consists of approximately 7,000 items in print and digital formats, including fiction, nonfiction, professional, and reference materials, class novel sets, biographies, audio books, videos, newspapers, magazines, and a wide range of audiovisual equipment. Students and employees may access the library’s electronic catalog (Destiny) from any device with online access.